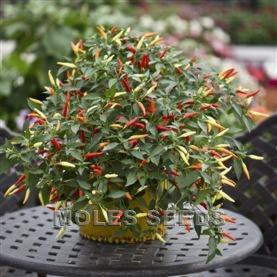 A compact semi-trailing plant that produces a prolific crop of small, hot fruits. The fruits mature from deep purple to cream, to orange then red at maturity. Ideal for containers and baskets.